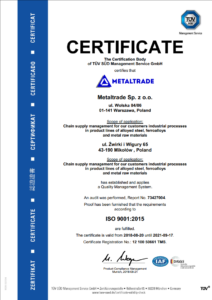 With its registered office in Warsaw, Metaltrade sp. z o.o. is a trading company operating within the structures of Kovintrade d.d.o. – the largest distributor of steel and raw materials on the Slovenian market, represented in 13 European countries. 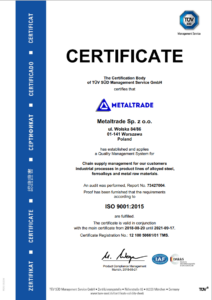 On the Polish market, Metaltrade sp. 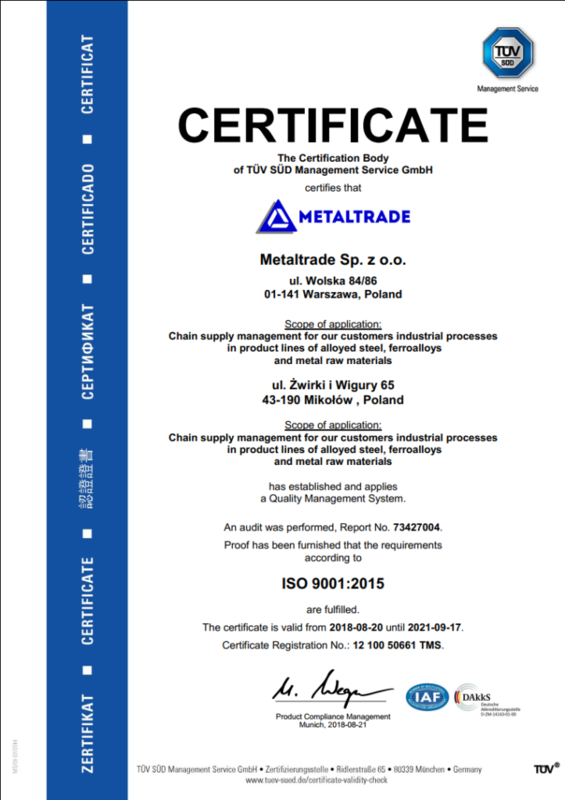 z o. o. represents two Slovenian steelworks: Metal Ravne d.o.o. and Store Steel d.o.o. It also executes long-term contracts on the supply of metals to battery manufacturers and galvanizing plants. Thanks to 16 years’ experience on the Polish market, the company has gained trust of the Polish steel mills and foundries. As an immediate result, it is now delivering ferroalloys. For Metaltrade, it is crucial to build strong, long-term relationships with business partners, based on the highest quality of services and mutual understanding of needs. We want to create a team of people with passion, open to the changing environment, and ready to take up new challenges. 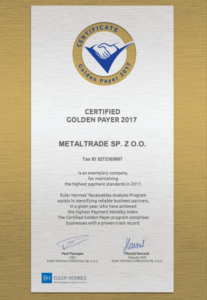 Moreover, we aim to make Metaltrade a conscious participant in non-business processes, focused on the development of local communities, sustainable approach to the natural environment, and support for employees and their families in carrying out their extra-professional activities.